It’s been a while since I posted since I’ve been pretty busy with work and haven’t been able to play a lot of games. However, that hasn’t stopped me from buying games! Ibara Kuro is a remix of the original Ibara, which I also got recently and enjoy, but I enjoy Kuro a lot more. I sampled this in MAME when the Cave SH3 games were briefly emulated and quickly determined that I needed to have it. Only about 150 PCBs of this exist, making it the rarest PCB I own. In terms of gameplay changes, Ibara Kuro does with rank control what Ketsui does with chaining: makes it short and sweet. Ibara (as with most games by Shinobu Yagawa) is all about controlling rank over the course of a game, whereas Ibara Kuro is about quickly raising rank then caching in and building it up again. It makes for a pretty fun scoring system while staying tough. Strider was one of my all time favorite arcade games growing up, but I don’t want to say that this purchase was nostalgic because the game holds up so well. Everything about it is top shelf: music, graphics, level design, and fun factor. The Genesis port is pretty decent, but of course nothing beats the real thing. The Amiga port, which is what I had as a kid, is HORRIBLE and was a crushing disappointment. I mean, look at this scene from the Amiga game, then look at that same scene on the arcade game and you’ll see what I mean. Unfortunately, the Strider board that I bought has some graphical corruption issues. It is still fully playable, however there are vertical lines running through some of the sprites. In an effort to fix the issue, I bought another game that runs on the same Capcom CPS1 hardware that you should all know and love: Street Fighter II: Champion Edition. I don’t need to say much about this game. A CPS1 game has 3 parts: An “A” board which contains the CPU (68000) and other hardware; a “B” board that contains the ROMs for the specific game; and a “C” board that contains a protection chip. The reason I bought SF II CE is because the “A” and “C” boards are compatible with Strider. After getting it and swapping the “A” and “C” boards, Strider still has graphical issues, which means that it is either a bad graphics mask ROM, or the “B” board itself is bad. From swapping some of the graphics ROMs around and poking around with a logic probe, it looks like in my case the “B” board is bad and has bad connections. Unfortunately, the “B” boards from SF II CE and Strider are not compatible, so I might need to pick up yet another great Capcom CPS1 game like Final Fight or Ghouls ‘n Ghosts to fix the issue. 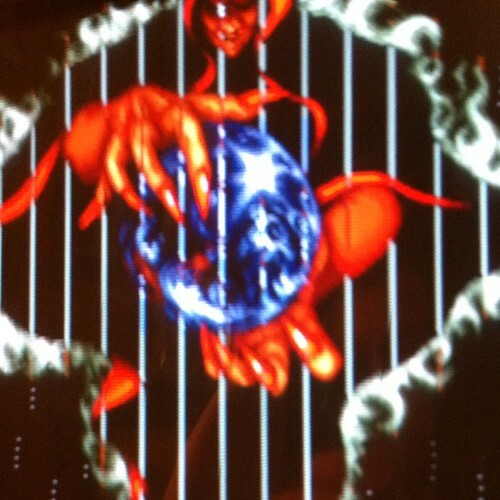 Still, the arcade Strider with vertical lines running through the screen is still FAR better than the crappy Amiga port!